Buy Hot sale groundnut oil machinery/peanut oil making machine made in china - Shandong Microwave Machinery Co.,Ltd. Introduction of Hot sale groundnut oil machinery/peanut oil making machine made in chinalow-temperature-press (LP), high-temperature-press. 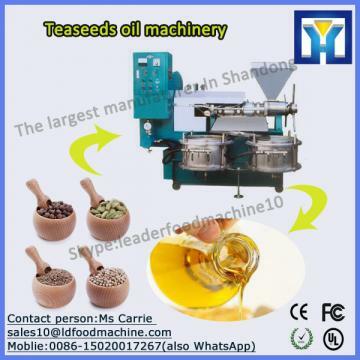 one can sell Hot sale groundnut oil machinery/peanut oil making machine made in china while pressing at the market. (1) Hot sale groundnut oil machinery/peanut oil making machine made in chinaRefining section: used to P-acid de-gumming, alkali refining de-acid and water rinsing. (5) Hot sale groundnut oil machinery/peanut oil making machine made in chinaHeattransfer oil stove: supply each device production needing heat energy, temperature reach above 280°C. (7) Hot sale groundnut oil machinery/peanut oil making machine made in chinaVacuum pump: supply needing vacuum for dehydrate, de-color, de-odor. Vacuum degree can reach above 755mm Hg. (9) Hot sale groundnut oil machinery/peanut oil making machine made in chinaAir compressor: blow dry bleached clay, blow empty the leftover oil in the press filter. equipment manufacturing technical services, product research and development etc. operate machines. If you have any questions, pls contact with us by phone or email. We will solve it for you asap. Saving Labor: it can save 60% labor for the equal output and 40% labor cost per day, for one or two people are able to make production. Small land-using: an area of 10-20m2 workshop can meet the need of production. Crude peanut oil → degumming and deacidification→ decolorization →deodorization → refined peanut oil. Shandong Microwave Machinery Co.,Ltd.is a Teaseeds oil machinery factory specializing in the production of Hot sale groundnut oil machinery/peanut oil making machine made in china, scientific research,manufacturing,installation, commissioning.Shandong Microwave Machinery Co.,Ltd.can provide Teaseeds oil machinerycustomers with design and services of 1-2000 tons Hot sale groundnut oil machinery/peanut oil making machine made in china. Shandong Microwave Machinery Co.,Ltd. have finished hundreds of successful projects Teaseeds oil machineryover the years: peanut oil, soybean oil, rapeseed oil, cottonseed oil, sunflower oil, sesame oil, animal oil,grape seed oil, acer truncatum oil, peony seed oil, walnut oil, hemp seed oil, pine oil, tea seed oil, papaya oil, milk thistle seed, and other special type Teaseeds oil machineryoil. Shandong Microwave Machinery Co.,Ltd. have independent import and export department. Shandong Microwave Machinery Co.,Ltd. Teaseeds oil machineryequipment has been successfully exported to more than ten countries: Russia, Australia, India, Afghanistan, Cameroon,and so on.